My core is weak and I have back pain: Should I do sit-ups? One of the most commonly prescribed treatments for generalized back pain is physical therapy. More specifically, a program to lessen pain while improving flexibility, posture, and provide strengthening are the overall goals of the program. Long-term, we discuss core strengthening to help promote a healthy and functioning spine. The core represents the stabilizing muscles and supporting structures of the trunk that protects the spine and allows us to do most daily and recreational activities. It is always great to hear from patients who present to the office and share with us that they have been doing core strengthening exercises. However, when we probe a little deeper, many are actually doing good old fashioned sit-ups, believing that this is the key component to building strong abdominal muscles (and making their back better!). Why not have a strong set of abdominal muscles and visible 6-pack to show for it? So are sit-ups effective at building the core and are they safe for most? The answer may surprise many. The evidence is mounting that lying down and repeatedly flexing the spine will only cause further problems. This can result in promoting more rapid wear of the disc associated with repetitive sheer forces. Studies in the medical literature have found that repeated spinal flexion can have adverse effects on the intervertebral discs. 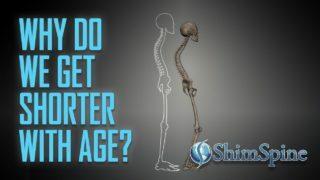 Think about this, we often focus on posture as another aspect of a healthy spine. 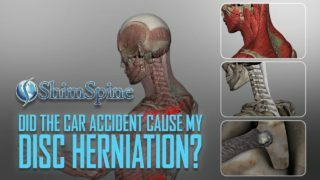 If someone sits with their back rounded (spinal flexion) and abdomen contracted, is that a normal posture? The obvious answer is a resounding NO! This is exactly the position that we are in while doing a sit-up. Furthermore, sit-ups (and crunches) work specific abdominal muscles and the hip flexors but do not work the entire set of core muscles. We know that when abdominal muscles are strong and back muscles are weaker, the back is more susceptible to injury. So if sit-ups are not good for someone with a “healthy” spine, imagine the potential consequences for someone who already deals with issues related to low back pain. Going back to my introduction, the patient’s we are seeing in the office are not coming to see us because their back is feeling good! There are many good alternatives to sit-ups that can be done without any special equipment. The bottom line is sit-ups get a big thumbs down in regards to building the core and helping the low back.